Superior shuttles, superior transportation cleanliness and schedule, and superior service, from the Fort Lauderdale Airport to downtown Fort Lauderdale and the Fort Lauderdale Airport area hotels, with a simple and pleasant interface and inexpensive rates. Many customers initially worry over the space availability. Don’t be concerned. We have you covered. If you have a reservation for 3 seats in our shuttle, it wouldn’t matter that there were 10,000 people waiting to get into the shuttle. You have 3 seats. Your reservation is confirmed with your space guaranteed as soon as the reservation is booked and paid, just make sure to book your service at your soonest convenience once you have your itinerary is set. And don’t forget our round trip promotion where you save 20% off the return segment when you book both shuttle rides in advance! 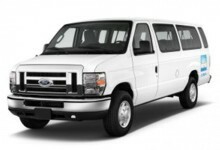 **Minimum 2 Passengers required for shuttle services to Fort Lauderdale Airport hotels.